Amy Worden, Inquirer Staff Writer, writes the Philly Dawg blog for The Philadelphia Inquirer. With her permission we are reposting her blog about two animal bills moving before the legislature recesses for the summer. UPDATE: Pennsylvania Senate approves cost of care bill, 47-3 and House votes to concur, 158-45. 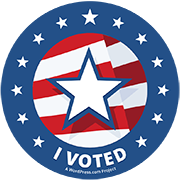 (Click here to find your representative and senator). First, the Senate is expected to approve a bill to require anyone charged with animal abuse to pay for the cost of the care of their animals for the duration of the court proceedings – or surrender them to a shelter. Consider the Pennsylvania SPCA which spent $1 million to care for 250 sick cats rescued from Tiger Ranch feline “sanctuary,” near Pittsburgh or Cumberland Valley Animal Shelter which has so far spent close to $80,000 to care for five huskies while owners appeal their cruelty conviction to the state Supreme Court or the Humane Society of Harrisburg Area and Gentle Giants Draft Horse Rescue of Mt. Airy, Md. which have as of now spent upwards of $100,000 caring for a herd of wild horses – including stallions and seven pregnant mares which in the past three months have delivered foals – while owner Rebecca Roberts of Palmyra appeals her conviction on cruelty charges. And that’s just a tiny sample of the enormous costs that scores of shelters incur daily from cruelty cases, costs that are rarely, if ever, recovered from convicted animal abusers. The bill’s proponents fought off a last minute attempt by the Pennsylvania Farm Bureau to exempt all farm animals – which would presumably include even dogs in puppy mills. The American Kennel Club also opposed the bill, saying it deprived animal owners of their due process rights. Animal law expert Bruce Wagman, who helped draft the bill, said animal owners are afforded due process rights in the form of an immediate hearing in which humane officers must prove their case. An amendment would allow the court to establish a defendant’s “indigent” status to determine whether they could afford to pay the bills. This would apply only in cases where a single dog was involved, not multiple dogs, cats, horses or other animals. The current bill would cap fees at $15 a day, plus medical care. Because it was amended, the bill must return to the House for concurrence, but that could happen as early as today. According to bill sponsor Rep. Kathy Watson (R., Bucks), between 1998 and 2011 the dog law fines and penalties accumulated over $3.5 million. However, almost $3 million was forfeited to the judicial computer account (average of $226,000 / year). The total revenue retained by the Dog Law Restricted Account during those same years was only 26% of the total monies collected. The bill would exempt dog law fines and penalties from the law, allowing monies collected to remain in the Dog Law Restricted Account. This is the same “restricted” account that Gov. Rendell and the legislature raided, to the tune of $4 million, in 2010 to fill a budget hole. Dog law officials declined to speculate on what the influx of $200,000 a year or more could mean for agency operations, so we asked dog law advisory board member Tom Hickey for his thoughts. “Number one: fill all the vacant dog warden positions, hire a full time vet and restore the grant program,” he said. The shelter grant program, which just three years ago distributed $638,000 in funding, was zeroed out in this year’s agriculture department budget request. The money helped shelters with basic operating expenses, like electric bills. Hickey also said lifting the cap on the amount of fines dog law could keep each year also would increase the incentive for dog wardens to prosecute violators. “If they remove the requirements that we fund the court system, it gives the department the ability to do what they’re supposed to do, which is to protect dogs,” he said. 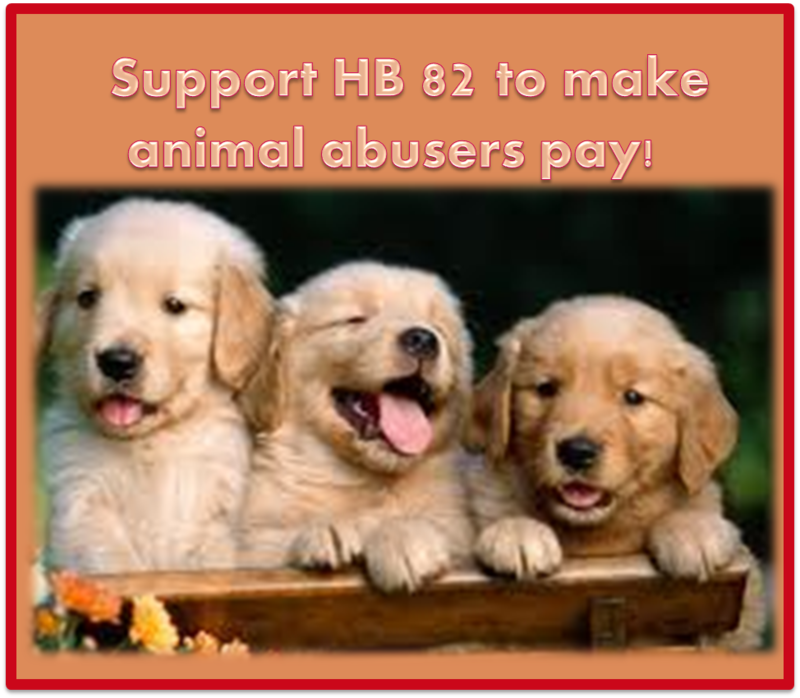 More information on HB 82: Support HB 82 – Cost of Care for Abused Animals Seized in Pennsylvania.